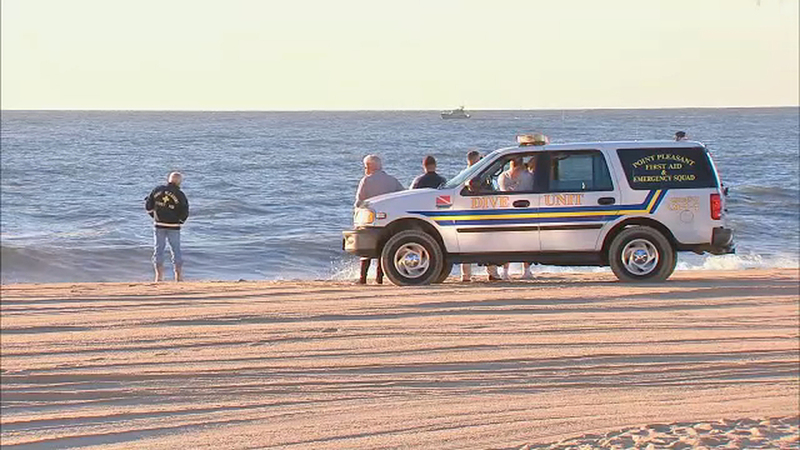 POINT PLEASANT BEACH, N.J. (WPVI) -- A body found in New Jersey is believed to be the woman who went missing in the waters off Point Pleasant Beach. Police said Monday that the body of a female was pulled from the waters off Lavallette, New Jersey overnight. The body was spotted by pedestrians walking along the beach around 11:50 p.m. Sunday. Police say that while they believe the body is that of 24-year-old Zuzana Oravcova of Slovakia, and autopsy will be conducted to positively identify her. Oravcova was reported missing around 2:25 a.m. Sunday. Oravcova had been swimming with 23-year-old Thomas Kadlec, also of Slovakia, when both began struggling in the high surf. Kadlec was able to return to shore, but Oravcova soon disappeared. The Coast Guard was notified and began searching for Oravcova from the water and the air. The search was suspended Sunday evening. The National Weather Service had issued a warning about dangerous rip currents along the Jersey Shore this weekend. The advisory had spurred many towns to ban swimming at their beaches.